Wearing this beautiful dress definitely made me feel like a modern Cinderella! You may recognise this dress from our recent Prom 'Get Ready With Us' video, and because we were both featuring such beautiful dresses, we really wanted to feature them on our blog for you guys to see a closer detail! I chose this dress on ASOS because it reminded me of a princess dress; the perfect dress for prom. It's also the current prom 'style' with the big netted midi skirt and I also really loved the attention to detail on this dress, with the Bardot lace bodice and the cutest little bow! The pastel blue shade of this dress is stunning, giving it a bit of Cinderella magic! This dress is part of the ASOS Salon collection and I finished off my outfit with my Silver Metallic Block Heel Strap Sandals! This dress would be perfect for prom season or even for a wedding, as the wedding guest or even as bridesmaid dresses! I felt like a princess going to the ball, swirling around in this dress, so you will too! This was definitely one of my favourite shoots as I could secretly pretend I was a floral fairy princess in my own secret garden. 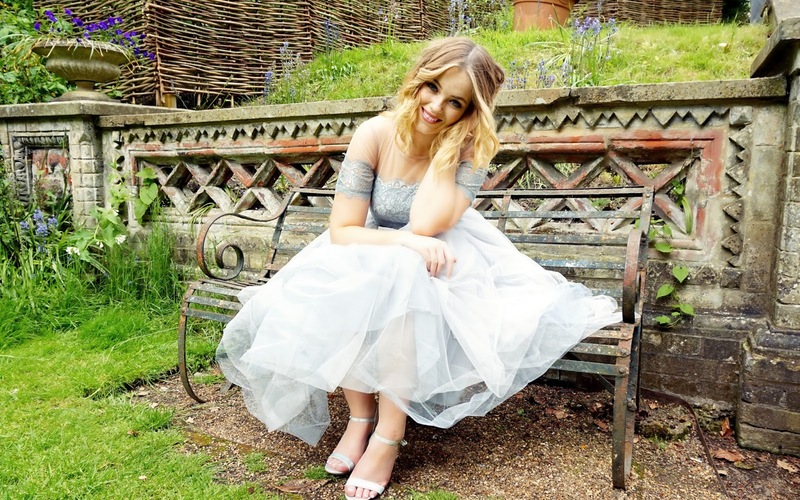 These pictures were taken when we filmed our Prom 'Get Ready With Us' video, and as we were wearing such beautiful dresses, we thought that they would be perfect to feature on our blog and capture in closer detail! When thinking about doing a Prom video, I knew that the perfect place to look for a dress would be ASOS, and when looking through their website, we came across the ASOS Salon collection, and we knew that we were in the right place to look for a pastel princess gown! As soon as we both saw this particular dress on the website, we both knew that it was a 'Lydia' dress and I knew straight away that this was the one I wanted to feature in our video! I chose the ASOS Salon 3D Flower Maxi Dress, a beautiful floor length pastel pink gown which is completely embellished with 3D flowers on the top. As you may know, I love anything that is really embellished as it just adds an extra bit of detail. The top bodice is embellished with sequins and beads to create the 3D look. I also love how the back of the dress is completely cut out, and even the straps are embellished with the flowers. I always think that pastel pink is the perfect prom colour, and I finished off my Prom look with some silver heels from New Look and wore my favourite YSL Baby Doll Kiss & Blush in '09' on my lips to compliment the dress! I have filmed the entire makeup look in our Prom 'Get Ready With Us video, which you can see on our YouTube Channel here! Make sure you send us pictures of what you will be wearing for Prom, we would love to see them! Not only would this dress be stunning for Prom season, this dress would also look amazing at a summer wedding! 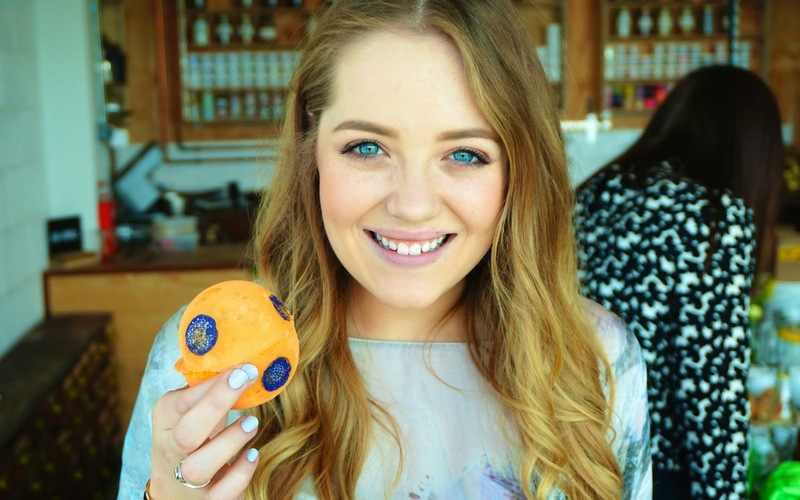 Last week, Gabby, Lydia and I went to Poole to experience the magic of Lush Cosmetics! We have all been big Lush fans, but after the two days we spent in Poole, we now understand so much more about Lush as a brand and how much they care so much about their natural ingredients they use and their understanding of their customers! We were so amazed how each Lush product is so thought out by the Lush experts, every Lush product really does work! When we arrived at Poole, we were greeted by the lovely Olivia who looked after us at our time we spent at Lush. We firstly went to the Lush office, and had the nicest lunch ever, the brownies were so amazing! 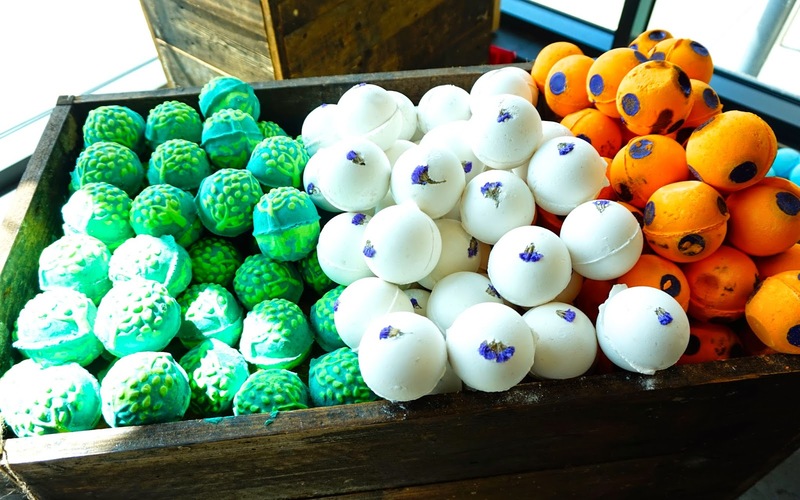 We then met with Jack Constantine, one of the creators of Lush bath bombs, and he showed us some of the exclusive Lush Oxford Street bath bombs. 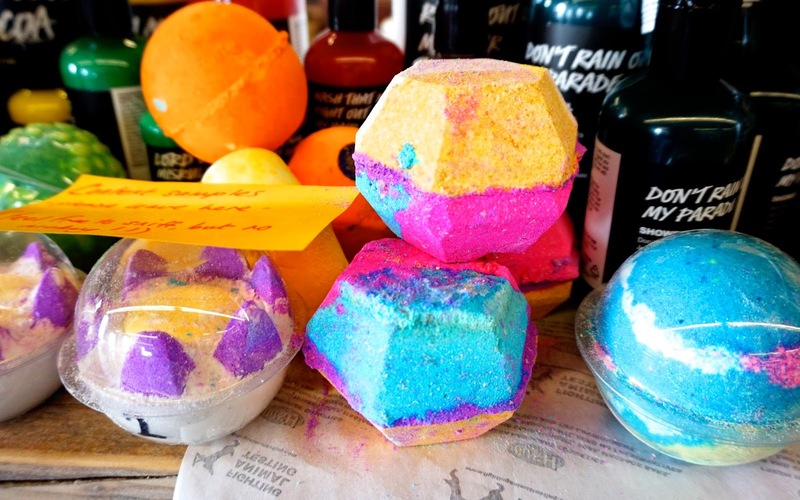 Two of our favourite bath bombs had to be the 'Frozen' bath bomb and 'The Experimenter.' The 'Frozen' bath bomb is one of our personal favourites as its based on the Disney film 'Frozen' with the icy blue colour and filled with silver glitter! 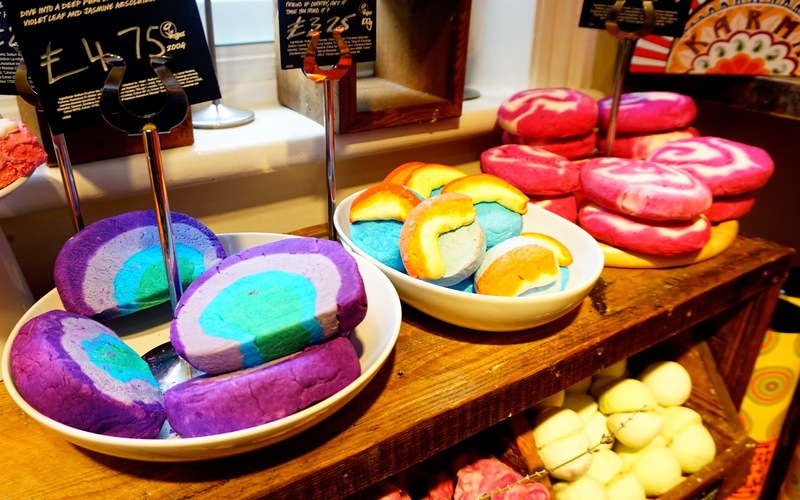 We are yet to try 'The Experimenter' yet, but this bath bomb is now Oxford Street's best seller! 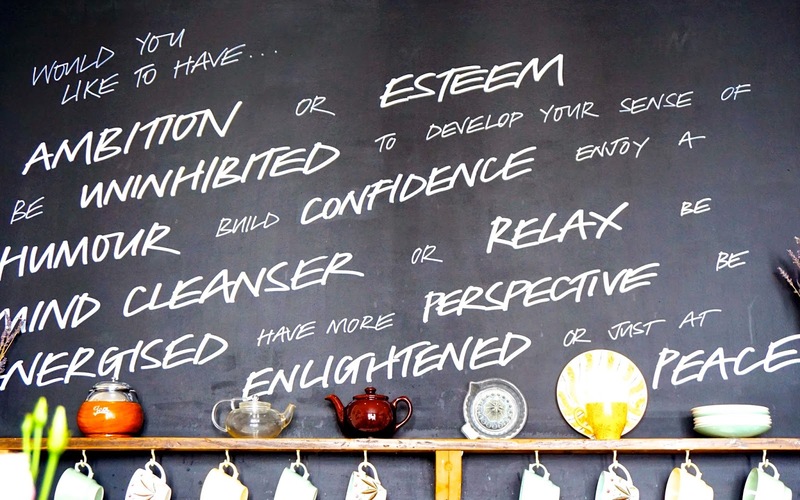 We were all invited to try the relaxing treatments at the Lush Spa in Poole. 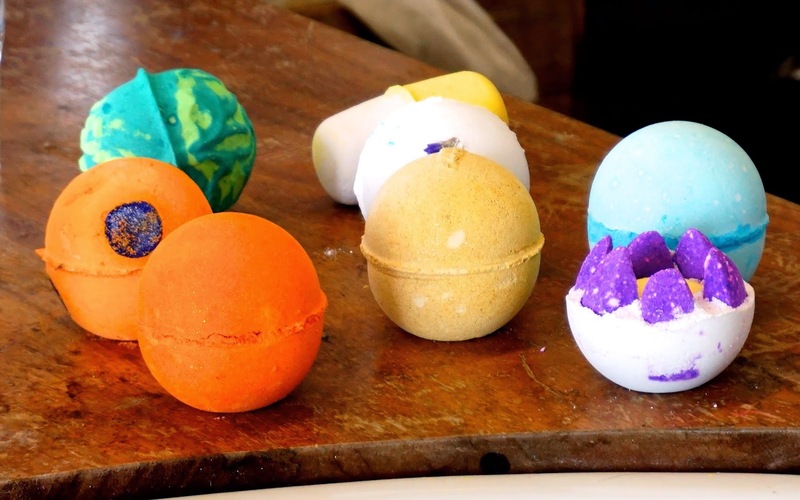 As we have all always loved Lush, we were very excited and knew that it would be heavenly! 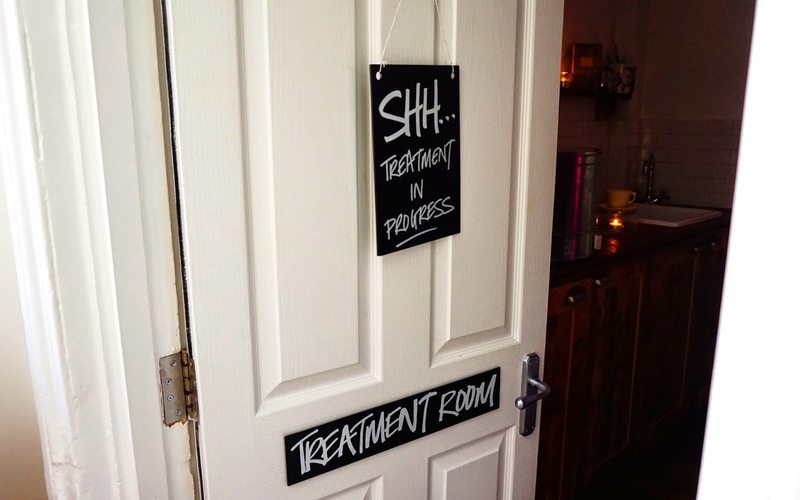 When choosing our treatments, it was very hard, as they all sounded amazing and very magical! Lydia and I both decided to go for 'The Comforter' treatment, which involves the hot chocolate body exfoliating scrub and the rose serum. The Comforter treatment was described to us as taking you 'on a magical journey of imagination' so of course, Lydia and I were going to choose this one! Gabby decided to go for 'Hard Days Night' treatment, which included a deep tissue massage treatment in warm pyjamas for a whole hour. 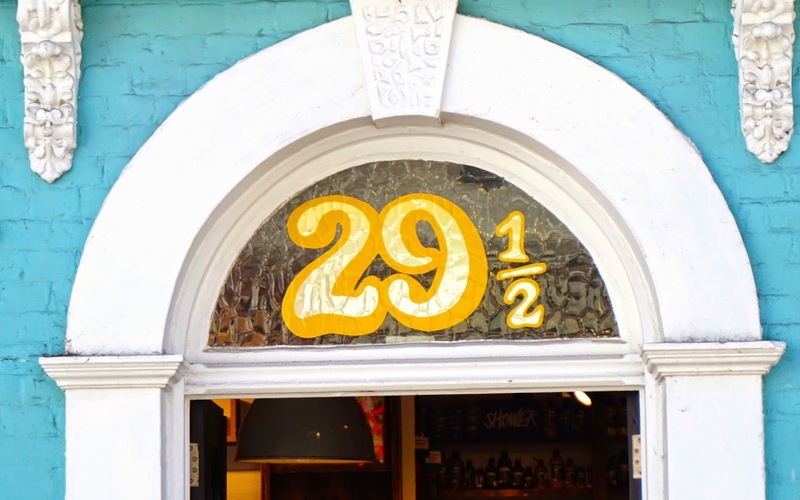 Our therapists, Jo and Vicky and Charlotte made us feel so welcome when they greeted us in the Lush Kitchen and chatted to us about our treatments over a cold glass of cucumber and grapefruit water. They explained to us in detail all about our treatments, showing us the products they would be using. 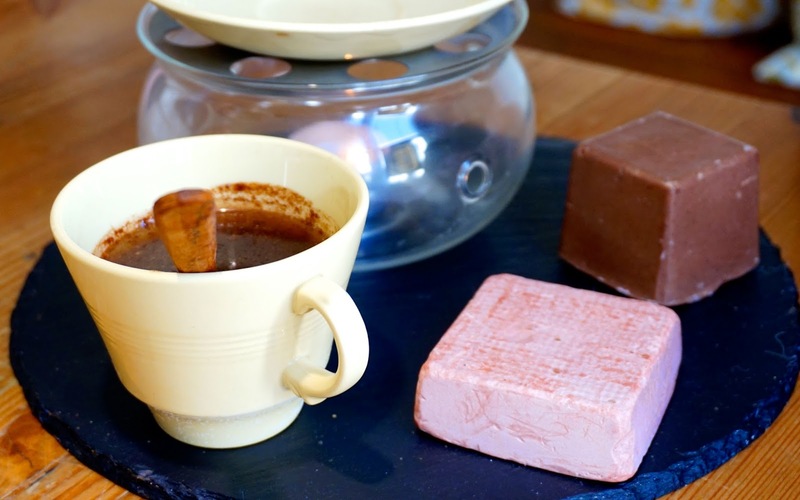 Our treatment included a full hot chocolate body scrub, with aduki beans to help exfoliate the skin, under a warm cosy duvet and a rose serum moisturising treatment that would leave our skin holiday ready! The treatment also included a medium pressure body massage which was also amazing! 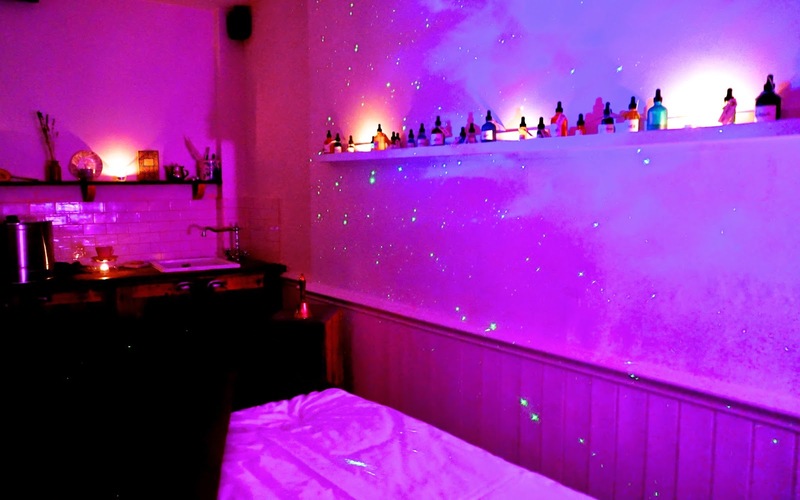 To make it extra special, the treatment was accompanied by soft dreamy music and once the treatment was finished, we were woken with the scent of rose bubbles filling the room, It was so magical! Normally, body scrub treatments can be really cold, but this treatment was the warmest, cosiest treatment as they used a hot body exfoliator! If you are looking for a treatment that is warm, dreamy and magical, this one is definitely for you! The Lush treatments are treatments like no other, we were even presented with a yummy rose cocktail! We then had a browse around the Lush shop in Poole, which was the first Lush store opened. We were introduced to some of their best sellers and we now have so many favourites! We are most excited to try 'Million Dollar' moisturiser for our holiday to Marbella, as it gives you a really nice glow and has a really high SPF! I have also recently been using the 'Gorgeous' moisturiser recently and I've fallen in love with it, my skin feels so hydrated and I just love the smell! 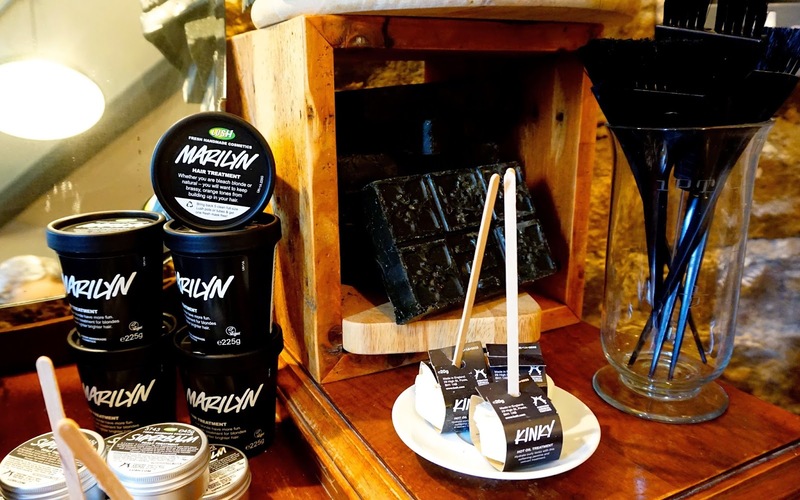 We were also lucky enough to take some of these products back to our hotel to try for the evening, and we all had an evening of pampering with our bath bombs and face masks! Thank-you Lush for all the goodies! The next day, we were lucky enough to visit some of the Lush factories to see where all of our favourite Lush products were made. It was so amazing seeing the products being made by hand, and also seeing how much fresh fruit and ingredients go into making Lush Cosmetics, we were even shown into the big fridge of fresh fruit! We even had a little go at making our own bath bombs and this picture above is where I made one of my personal favourites, the 'Bright Side' bubble bar! It was so interesting to see the process of making Lush Cosmetics. 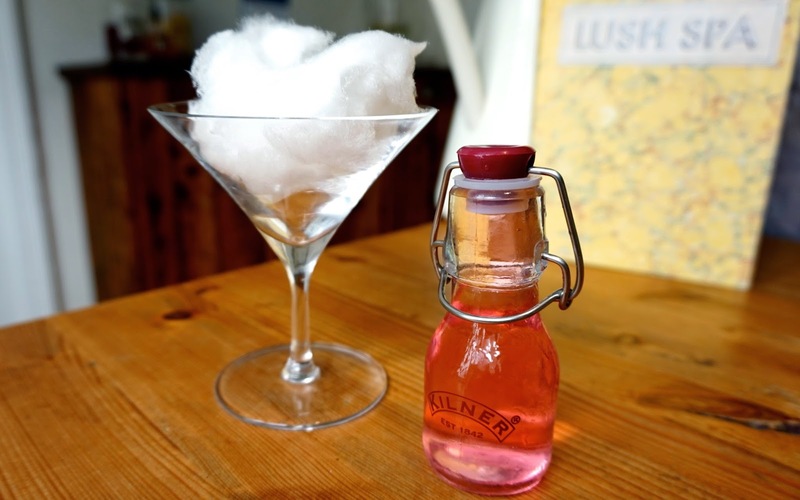 We also got the chance to go into the Lush Kitchen and make our very own 'Comforter' shower gel! We even had little stickers with our own names that we could stick on our products. What a great experience we all had in the Lush Kitchen! 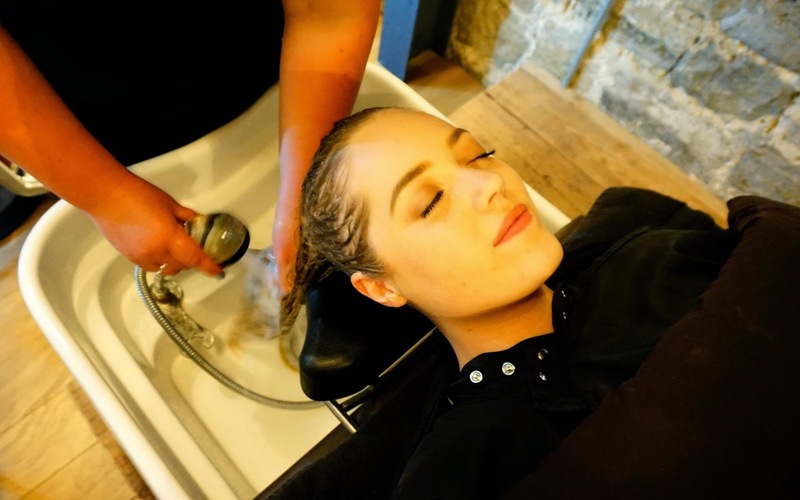 As our last little treat on our Lush trip, we all had hair treatments in the Lush Hair Lab! We were all very excited about this. We all had hair consultations which were so thorough and knowledgable! 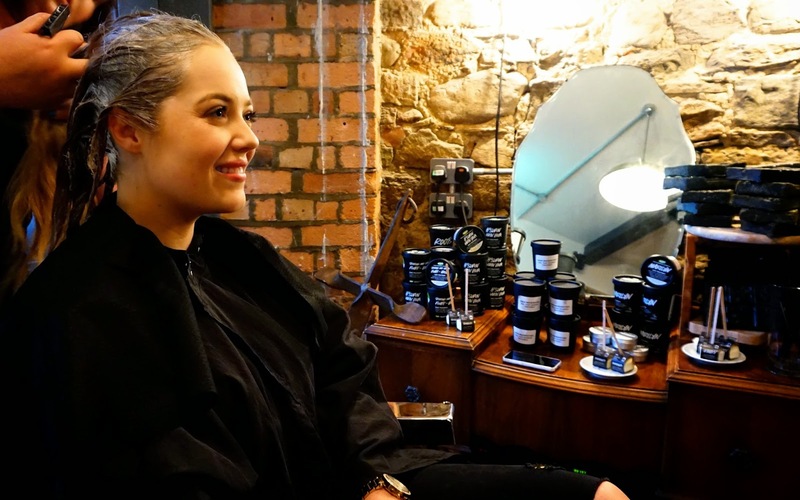 We were asked lots of questions about our hair and advised on the products which would be perfect. Lydia and I both wanted lots of volume at our roots and so we both had the 'Roots' hair mask which was definitely my favourite product from our hair treatments! I couldn't believe how much volume it gave my hair, and also how shiny and clean it left my hair feeling. We also both had the 'Damaged' hot oil hair treatments, which left our hair feeling super soft and manageable to comb through. I also loved how they washed our hair whilst we were laying under a warm heated duvet! How amazing is that? We would like to say the biggest thank-you to Olivia and all the team at Lush for making our trip to the Lush Spa in Poole so amazing! We all had the most relaxing time and it was the best treat ever! We can't wait to come back for another treatment as each one is known to be really unique! This would be the perfect present for mothers day or a girly trip with friends, just like we did! There are a few Lush Spa's around the UK so I'm sure you will find one near you, all are listed on the website here! I'm sure you will be seeing lots of Lush products on our YouTube channel! 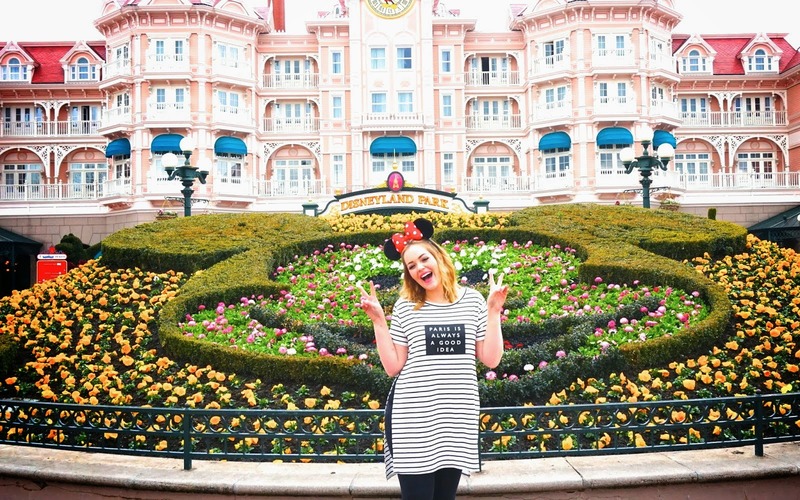 As you may know, Disney is definitely our second home, and is one of our favourite places ever! 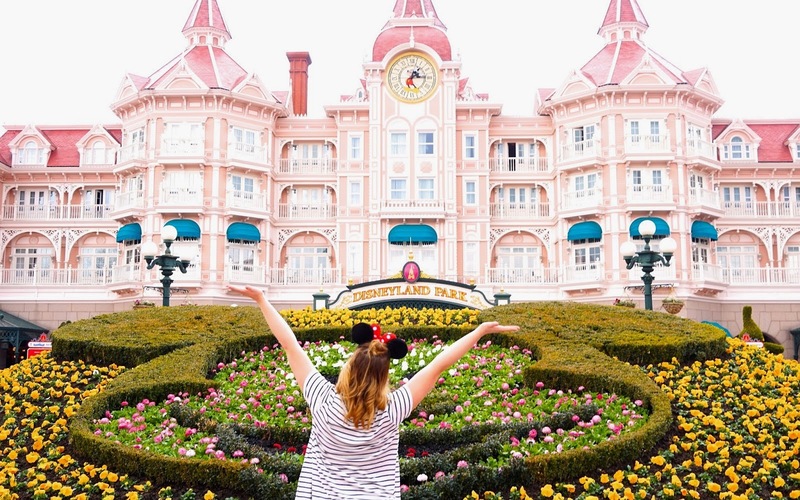 For our 21st Birthday, we were lucky enough to celebrate our birthday in the most magical place, and stayed at this beautiful dreamy fairytale hotel! 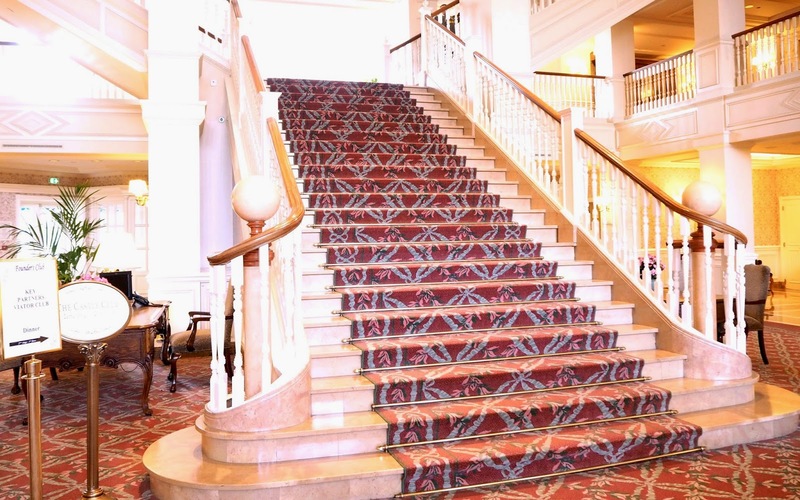 This is the Disneyland Hotel! For years and years, we have both dreamed of staying in this hotel, we both always called it the 'Princess' of hotels. When our taxi drove up to the hotel, we were all so blown away at how beautiful this hotel was from the outside. We were welcomed as soon as we stepped out of our taxi! When we arrived, were were even more amazed at how grand this hotel was. 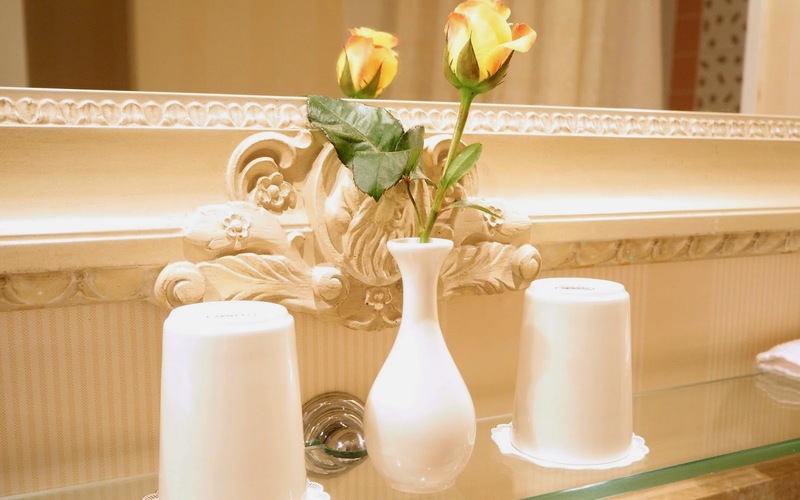 With its Victorian inspired theme, the hotel looked so luxurious and the hotel had an amazing floral smell to it! If you have ever been inside the hotel you will know exactly what I mean! Gabby called it the 'Julie Andrews' smell as she imagined Julie Andrews to smell like it! Everything in the hotel was so thought out and even tiny details like the smell made it extra special. The hotel reception was beautiful, and very grand! 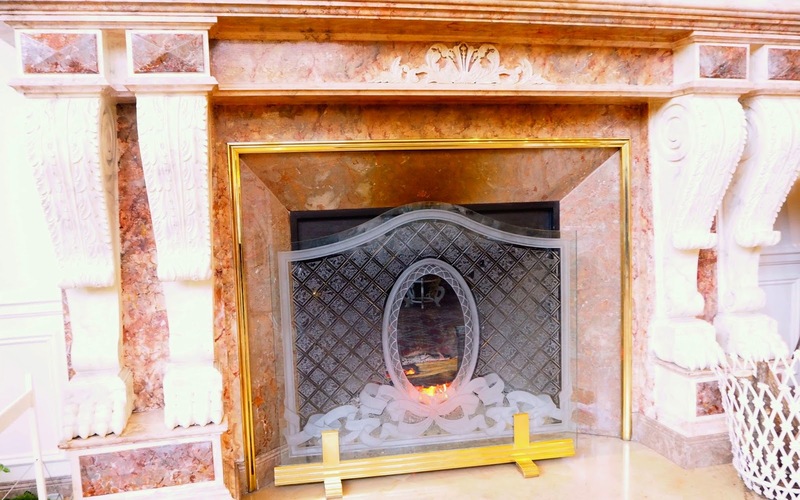 We even remember standing in front of the fireplace in this hotel and sitting on the grand staircase when we were 8 years old, always dreaming of staying in this hotel. Mia from Disney, who looked after us so well on our trip, showed us to our Room! 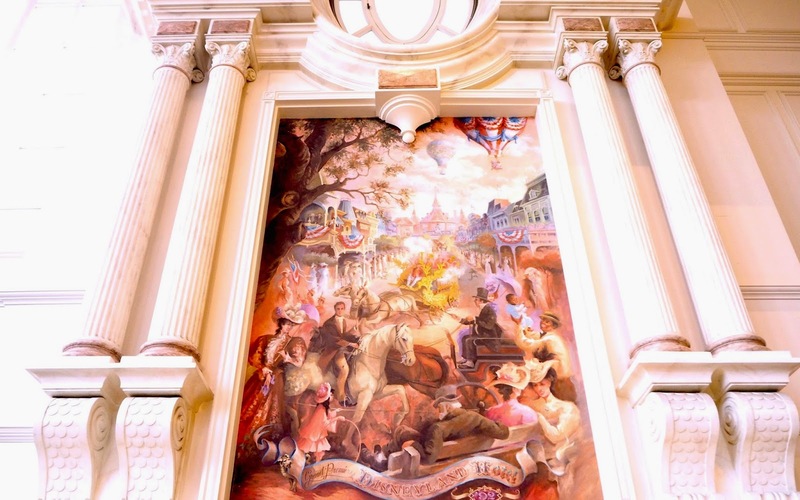 Our room was stunning, with a light Victorian decor with a touch of Disney magic! 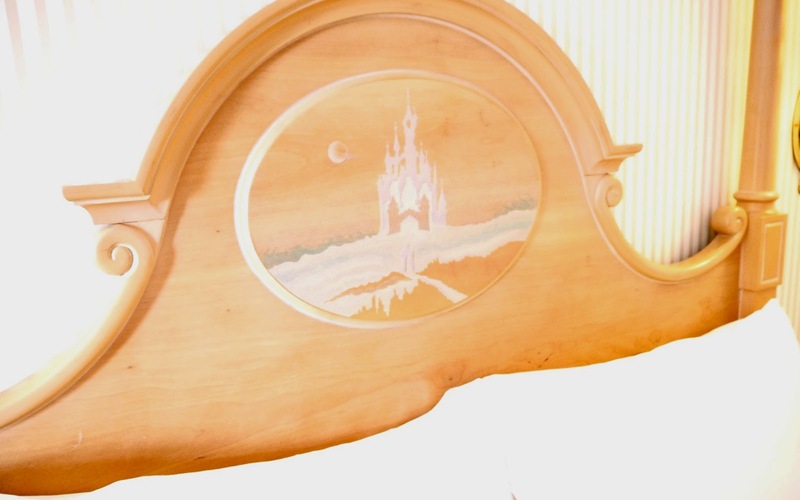 The furniture had painted Disney illustrations on it which made staying in the room feel extra magical and special. I also love how the headboards of our beds had the castle painted on them and scenes from Disney films were printed on the wallpaper borders. Our room was very spacious, and had a view of the entrance of the Disney park and the Tower of Terror in Walt Disney Studios. 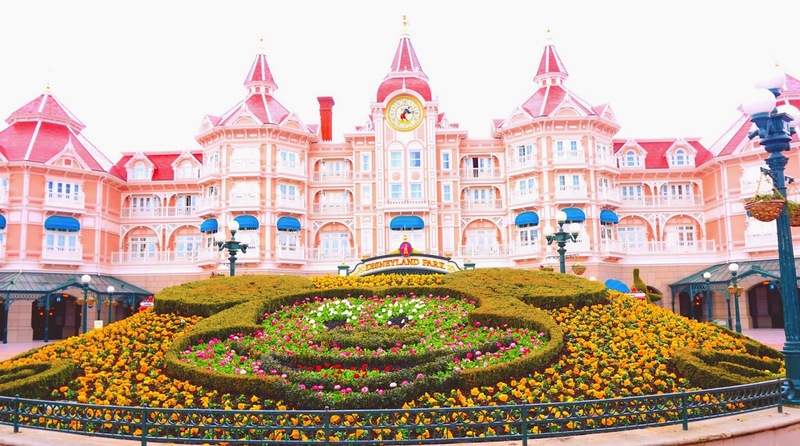 One of the most amazing things about staying in this hotel was the convenience to the Disney Park and Walt Disney Studios, which enables you to go straight to the parks early before the crowds and to freshen up before the nighttime shows. 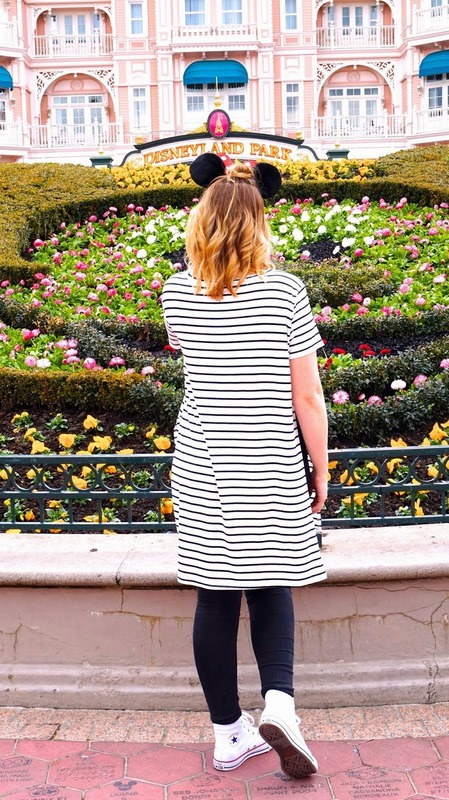 It was also perfect for us as we were filming a Disney Lookbook, so we didn't have to carry all of our outfits around the parks. 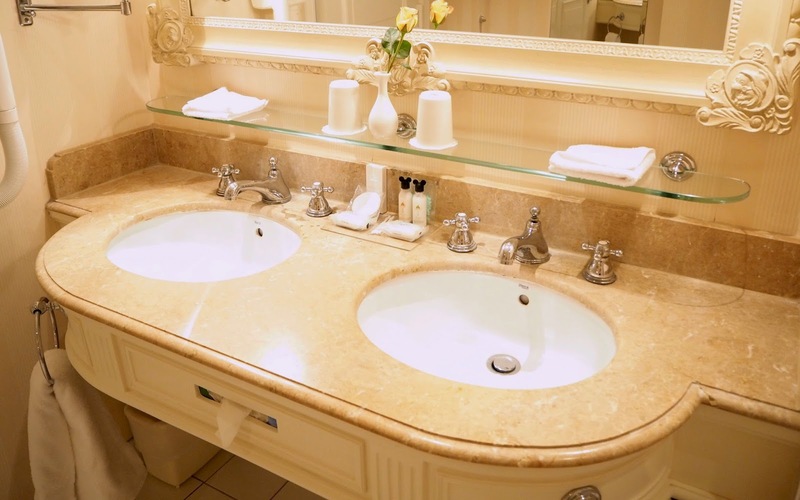 The bathroom was also so beautiful, as you can see from these pictures! It's the dream princess bathroom! I wish I could take this bathroom home with me! Every morning doing our makeup in this bathroom was a dream! It's definitely one of the prettiest hotel bathrooms that I have seen! The bathroom was stocked daily with fresh towels and toiletries, even the toiletries had little Mickey Mouse tops on them! The room was cleaned everyday and also turned down in the evening with the curtains closed and beds ready for the best night sleep, with chocolates on the pillow! When we opened the door, we walked into our room to find that Disney had left us some amazing gifts! 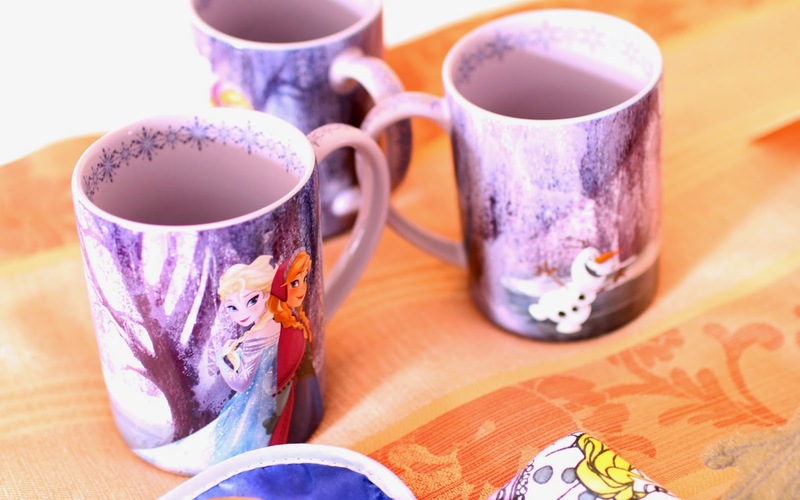 We all had Frozen pyjamas each, Minnie Mouse ears and Frozen mugs! 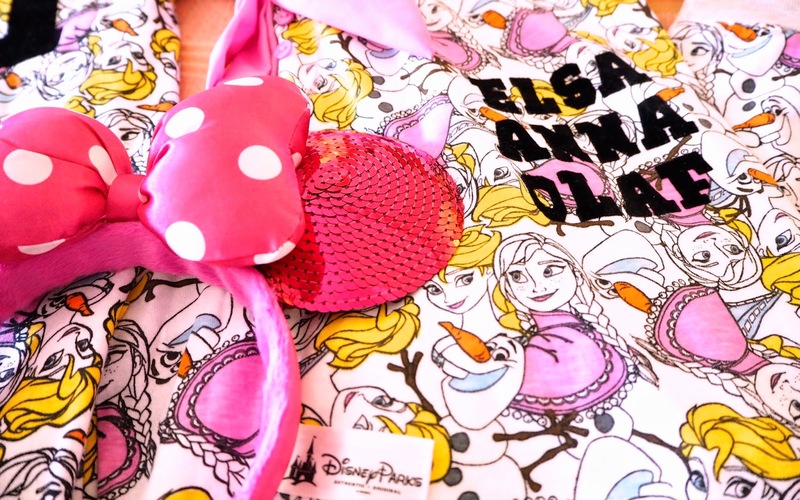 Thank-you so much Disney for always making our Disney trips so magical, thank-you for all of the lovely gifts! If you are looking for the most magical, dreamy stay ever, this hotel will tick all of those boxes for you! 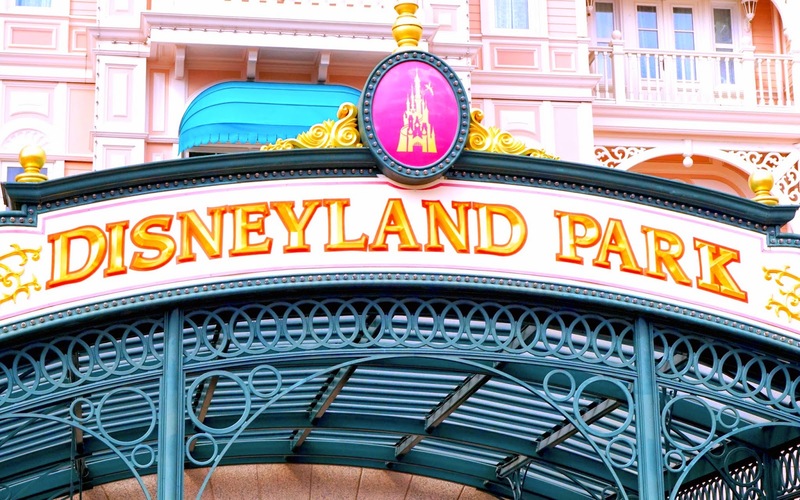 We will definitely be visiting Disneyland Paris in the future! We loved it! For more details on the hotel, click here! 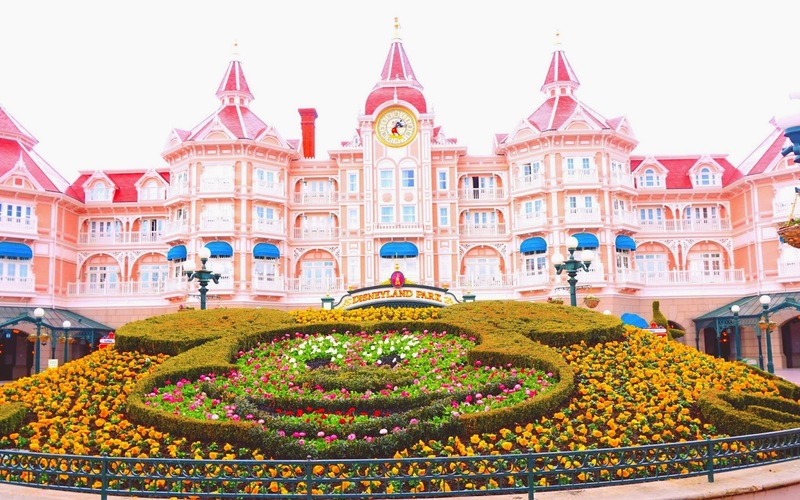 This link will direct you to the Disneyland Paris website! We are back with a monthly favourites video! 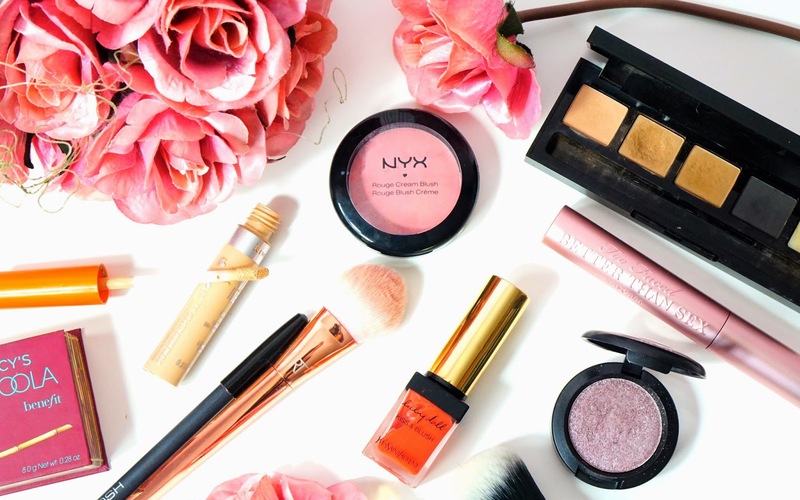 Its been a very long time since we posted our last favourites video, so we thought it was about time that we got our most used products together to recommend to you and share with you why they are our favourites for the month of April! As you may know if you watch any of our favourites, we both seem to like each others chosen products so this may be a long video! 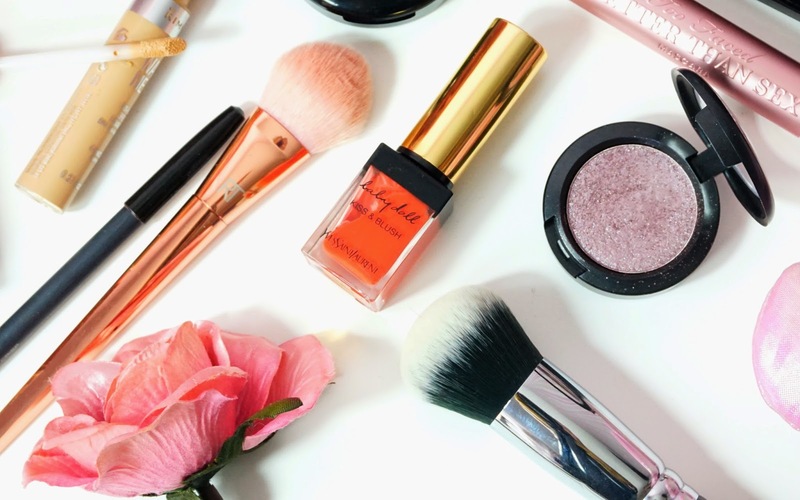 We share everything from current makeup must haves to music favourites and Youtuber favourites! Leave us a comment down below sharing your must haves for April! There will be links to all of our favourites in the description box or you can find the majority of the product links below! We are going to make sure that favourites videos will be a monthly video on our channel!